Stay tuned to the PBPA's website for all PBPA events including educational forums, committee meetings, and our monthly and annual events such as Membership Luncheons, the Top Hand Award Banquet, the Spring Swing Golf Tournament, the Clay Shoot & Oil Patch Pit King Challenge, and the PBPA Annual Meeting. Thank you to all those who joined us or supported this year’s Sporting Clay Shoot & Oil Patch Pit King Challenge!!! 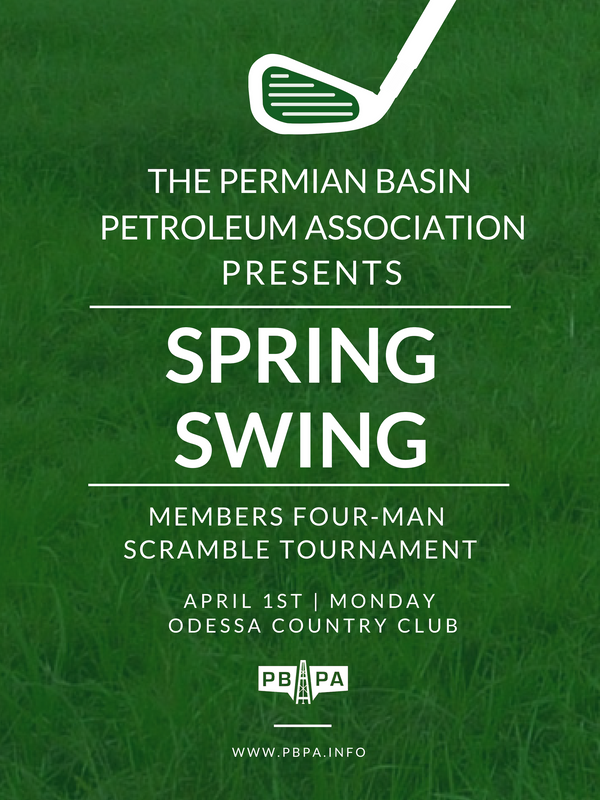 This annual meeting will take place at the Permian Basin Petroleum Museum and the Petroleum Club of Midland. To register or sponsor this year's annual meeting, please download, fill out, and return the linked form. Come here to find other relevant events. The 2nd Annual Permian Basin Water in Energy Conference (PBWIEC) will be held on February 19-22, 2019 at the Midland County Horseshoe. In conjunction with the Conference, PBPA will be holding its February Membership Luncheon as part of the festivities on Day Two.